Says when she was growing up, women were expected to be teachers, secretaries, or stay-at-home moms and housewives. She always preferred to do office work, so she worked in a series of companies doing computerizing. Eventually built up the knowledge and funding to start her own tech company; ended up selling it at the height of the tech market. 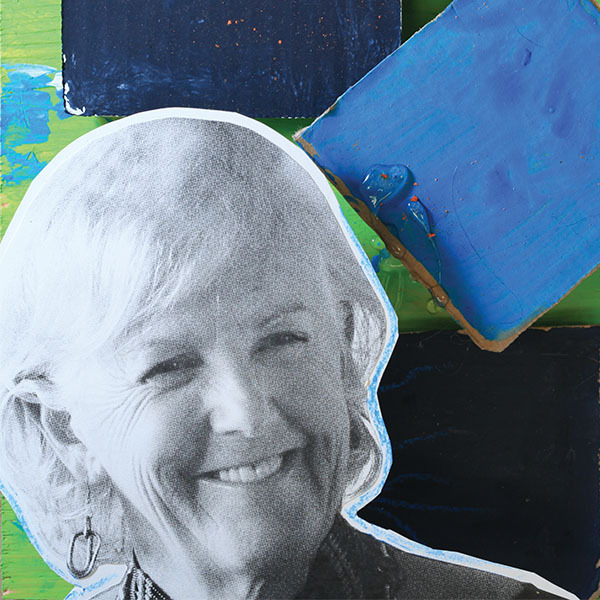 After selling her company, she "tried to be retired"; practiced golf, worked for nonprofits, traveled extensively. On a trip to Niger, she saw a girl her granddaughter's age with flies on her eyes; learned that these flies cause unnecessary blindness. Realized she could no longer partake in the shallowness of listening to her peers complaining about their multi-million-dollar homes not selling. Started the Global Team for Local Initiatives, which works to increase the lifespans of indigenous African peoples; now spends half her year living in Ethiopia. Says she needed to experience the traditional "American Dream," in order to realize that she had a different definition of what that dream should be. I use my entrepreneurial skills to create development programs that help indigenous communities in Africa.